Decorations are considered to be the most striking and noticeable feature of a wedding day. Deciding on a specific vision for your nuptials makes it easier to pull together flowers, invitation, color palette, menu, music and more. Our team of experts works with relentless passion for crafting the perfect decor for your big day that would stay etched in your memory for years to come. Our ardent love for detailing in every aspect of decoration is what sets us apart from the rest in line. Fairytale Weddings offers a variety of different styles of stage decoration, chair decoration for the bride and the groom, mandap decoration, venue decoration etc to enchant your guests. We always consider the requirements as per our customers and deliver accordingly. So let your imagination soar high and conceive of the most spellbinding decor having drapes and bows, frills and fountain, red carpet to floral pathway or candelabras to fire torches, we make sure to shape all your imaginations into reality. We specialize in all aspects of floral décor. Weddings are all about flowers. 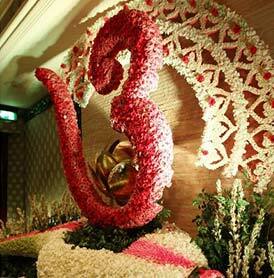 Flowers are not only considered auspicious but also add a distinct uniqueness to your event. We are known for our floral décor because of our love to play with flowers. Our talent also lies in adding appropriate props as a decorative aspect to your special occasion. 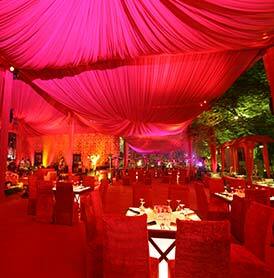 We are an accomplished and forerunner Wedding Decor Stylist in Delhi NCR. We turn the empty space into marvelous wedding sites. From charming backdrops to stylish centerpieces, we leave no stone unturned and make sure that your wedding ceremony looks like a million dollars. You dream it, we build it. Decorating and shaping the special events of your life and making them enduring is what we do! We master the art of transforming your dream into a breathtaking reality with our exclusive themes for your mehndi and sangeet night. Our special touch makes your day exquisite and classy. We plan and décor all your events from the first ceremony to the final Reception. Our highly skilled team work with marvelous decorative themes to create a celestial experience that you will never forget. We are your one stop platform for all celebrations. 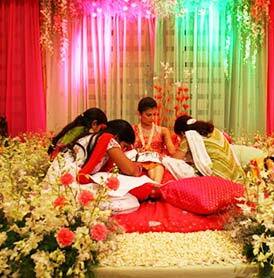 We are renowned for our innovative themes, creative ideas, and mesmerizing decoration. We turn your events into lasting memories with our hard work and sheer brilliance. We are a leading decorator when it comes to corporate event and are known for our excellence, creativity, and high level of customer satisfaction. Our décor bespeaks luxury and finesse. 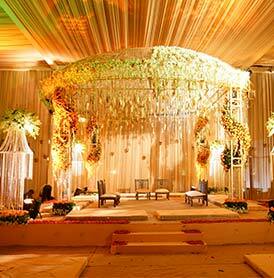 We are renowned for elevating the standards of fine decorations. You will certainly fall in love with your auspicious occasion when we provide innovative and creative ideas to your religious events be it a jagran, mata ki chowki, satsang or Sai Sandhya. We decorate all your events with our customized themes created especially for these events. We make sure that your event becomes the talk of the town. Plunge into celebration and make your day surprisingly wonderful with us. From big to small, we plan and décor all. We bring uniqueness and inventiveness to your events be it a birthday, anniversary, cocktail, baby shower, private parties etc. with our unbelievable décor, scrumptious food, and oodles of entertainment. 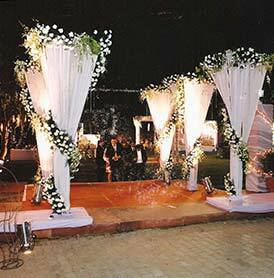 With our special touch we execute your special occasion just the way you have envisioned.